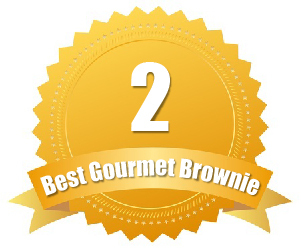 What better way to make an impression on your clients and customers, than with a delicious brownie gift? 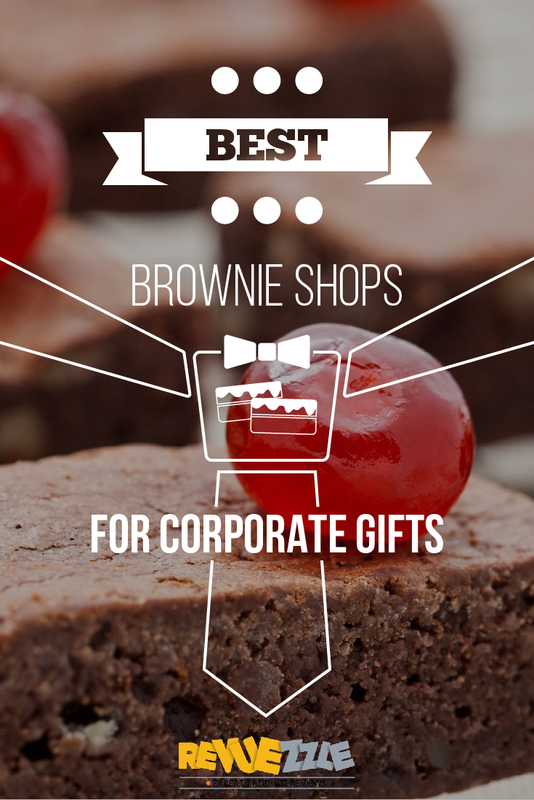 Show your business partners how much you value them with our Best Brownies for Corporate Gifting. Our editors carefully selected these vendors based on their gift options, ability to customize wrapping to include your logo and company name, and availability of volume/bulk discounts. This bakery adheres to the philosophy that a gourmet gift from their bakery will get you extra “brownie points” in the professional world. 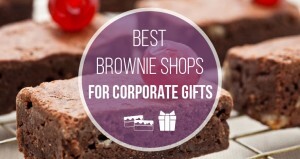 Brownie Points offers a competitive corporate gift program, with all of their signature packaging customizable to include your company logo and name. They can also create a custom logo ribbon to top it all off! With their selection of over 40+ gift baskets, boxes and towers—all of which are customizable with your business information—you are certain to find what you need at Brownie Points. Even better, this bakery offers bulk order discounts to business customers. Gifts from brownie points start as low as $13.00 and top off at $212.00, with many ideal corporate gift options in the middle. Shopping for an office gift? 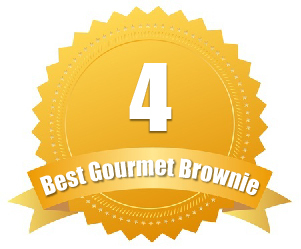 Be sure to include some of Brownie Points delicious gluten-free options to ensure everyone finds something to enjoy. If you are shopping for the perfect business gift for clients or business partners, look no further than the business gifting program at Dancing Deer—which offers volume discounts and gift personalization to create a specialized gift from your business to your recipients. Always dedicated to beautiful packaging, Dancing Deer can personalize your corporate gift with silk screenings, imprints and hangtags. They can also incorporate your business cards and marketing materials into the gift presentation, ensuring your clients know the gift is from you. In addition to their excellent online and phone business gift specialists, they also have a digital business gift catalogue to further simplify your corporate gifting. Gift assortments from Dancing Deer range from $14.99 to $149.99, depending on your selections. Want your clients to remember you all year round? Consider a subscription to Dancing Deer’s Brownie of the Month Club. This vendor’s Corporate Concierge Service takes the guess work out of the corporate gifting process. Impress you clients and business partners with Sugardaddy’s Sumptuous Sweeties’ wide selection of gift boxes and towers brimming with gourmet brownies and treats. All of the vendor’s signature packaging can be customized to include your company’s name and logo with branding on gift message cards, bags and boxes. For an elegant touch, Sugardaddy’s Sumptuous Sweeties’ Corporate Concierge Service also offers logo monogramming onto their gift sets. Sugardaddy’s Sumptuous Sweeties’ special Corporate Concierge Service team also offers volume discounts, net 30 payments and large order shipping management services. Contact their helpful specialists for a free quote today. Gifts boxes from this bakery range from $27.00 to $90.00, while their towers start as low as $6.50, topping off at $49.50. Worried about freshness? All of Sugardaddy’s products are baked to order in small batches and shipped over night to ensure top quality. 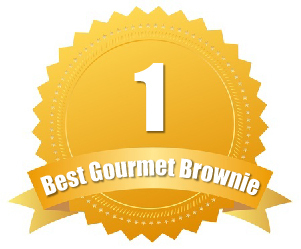 The gourmet gifts and brownie cakes from this vendor are an excellent way to show your clients and business partners that you care. Bake Me A Wish has a business gift customer service team that will make finding exactly what you are looking for a breeze. All of their beautiful gift sets and gourmet goodies are available for customization with this bakery’s corporate gifting program, and their normal packaging can be adapted for your business to include your company name and logo. This vendor also includes a complimentary personalized greeting card with every corporate gift to make sure the recipient knows it is from you. Their helpful business gifting representatives can also be contacted about bulk discounts on large corporate orders. 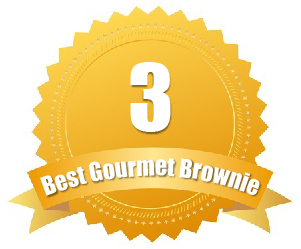 The gourmet brownie cakes from Bake Me A Wish will cost you between $34.99 and $39.95. Their assortments and samplers range in price from $39.95 to $74.99. On the hunt for a Kosher gift set? All of this bakery’s delicious treats are certified OU Kosher. All of Vermont Brownie Company’s gourmet gift sets and boxes are available for business gifting. This vendor’s excellent corporate program allows customers to ship to one business location or to multiple clients on a list. They also can customize any of their signature packaging to include your business logo, label or artwork—free of charge. They can also incorporate any of your company’s marketing materials, such as business cards or personal greeting cards, into the presentation. Even better, Vermont Brownie offers volume discounts for large corporate orders. If you want to make an impression on your favorite clients throughout the year, you may want to consider Vermont Brownies’ monthly clubs, which are also eligible for their excellent corporate gifting program. Vermont Brownies’ gift clubs range in price from $79.99 to $479.99 for their largest package. Gift sets range in price from $39.50 to $236.00. Prefer local ingredients? Vermont Brownie Company agrees and uses only local, farm-fresh ingredients in all of their baked goods.